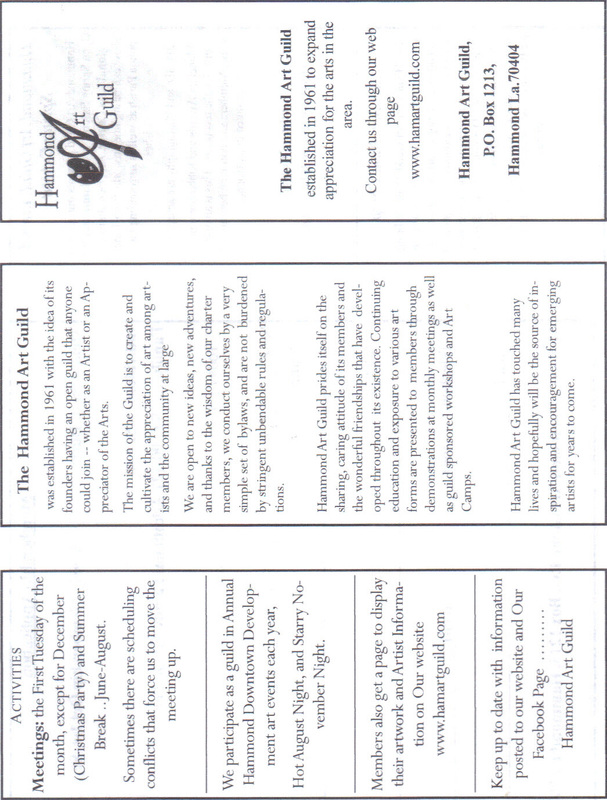 Please "Like" and "Follow" Hammond Art Guild on Facebook! This web page under construction and may not contain latest information. Welcome to the Hammond Art Guild's Website. We thank you for visiting our site, and hope you will enjoy scrolling through each section, especially our artists’ galleries. Just click on Artists, and then click on each artist in the drop down menu to see that artist's paintings. Click on any painting for a closer look, description, and price. We thank you for visiting and hope you will come back soon to see what is new - as we are always painting or carving or building new pieces of art! 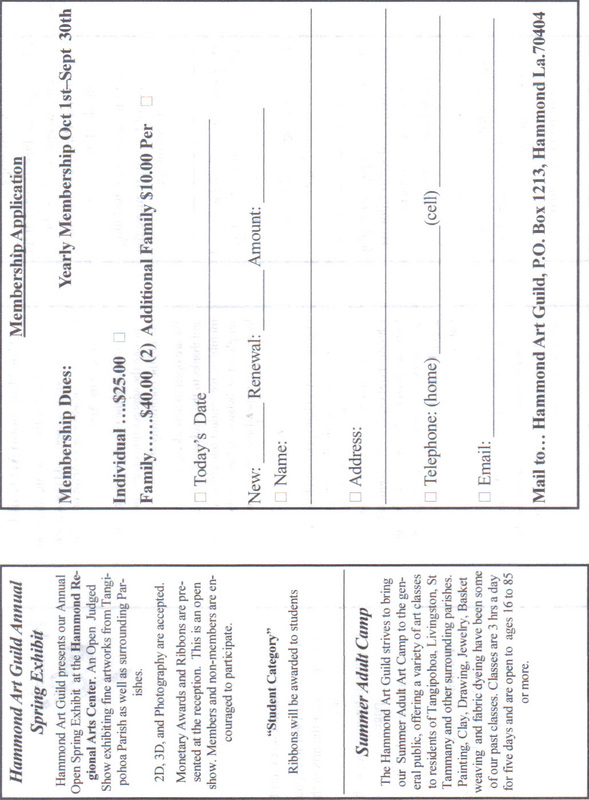 WE hope you are so pleased that you will want to join the Guild as an artist or an art appreciator! You can also visit us on Facebook at Hammond Art Guild. Thanks!! to also provide an outlet and sharing between artists, both professional and non-professional. We exhibit our works in the Hammond Regional Arts Center and actively seek other public venues in the area. Being members as a group of the Hammond Regional Arts Center, we have a representative on the Board of that organization. A membership application may be found under the Membership tab on this Site.